adult male (sexed by song and later in hand by prominent cloacal protuberance and lack of brood patch), Laojun Shan, Sichuan, China, 1350 m, 27 May 2014. 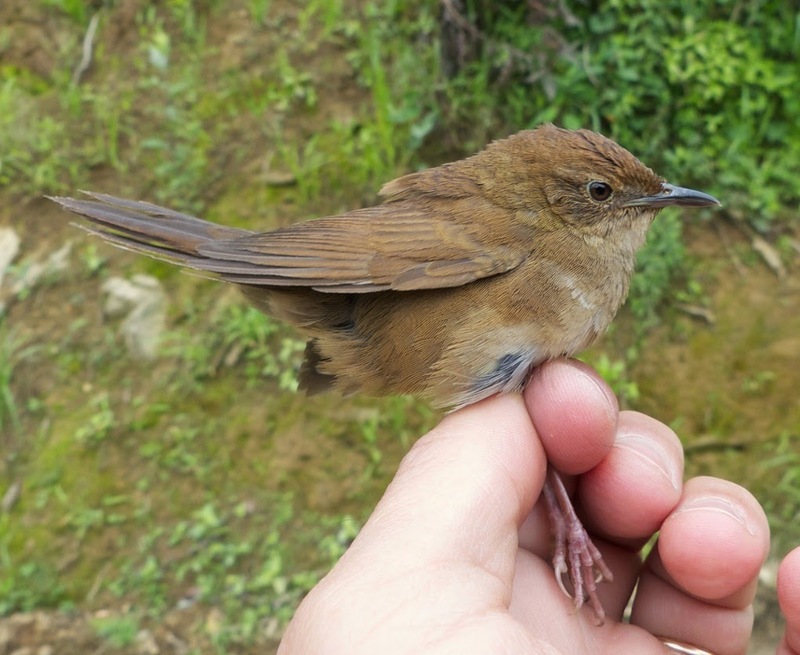 The Russet Bush Warbler Locustella (previously Bradypterus) mandelli complex occurs in mountains in the eastern Himalayas, southern China, Vietnam, the Philippines, and Indonesia. 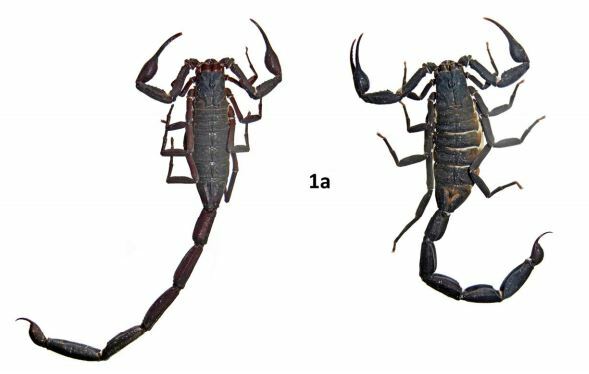 The taxonomy has been debated, with one (L. seebohmi) to four (L. seebohmi, L. mandelli, L. montis and L. timorensis) species having been recognised. 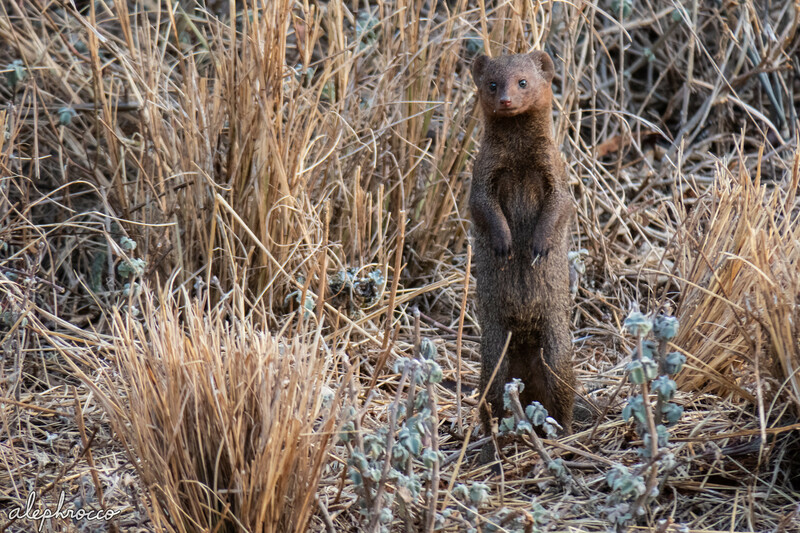 We used an integrative approach, incorporating analyses of morphology, vocalizations and a molecular marker, to re-evaluate species limits in the L. mandelli complex. 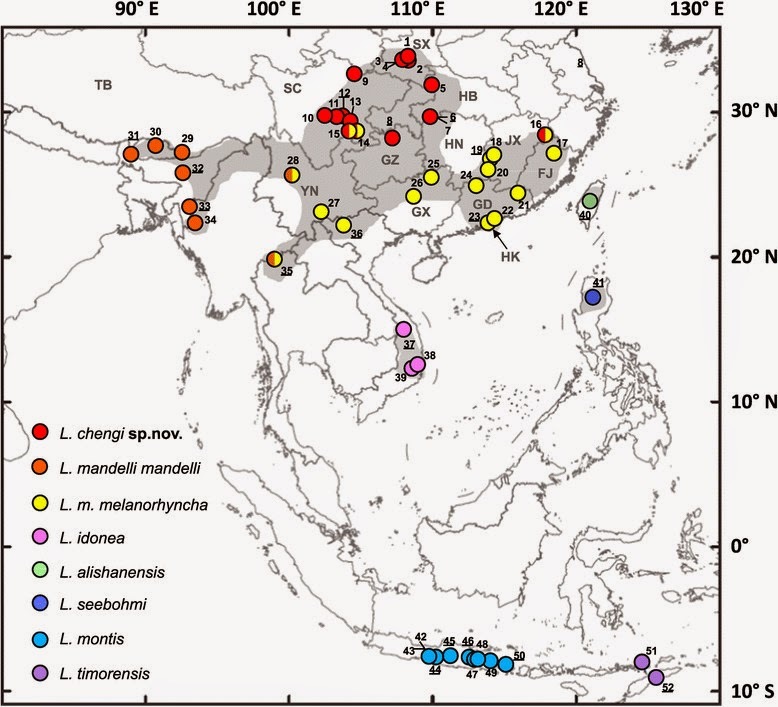 We found that central Chinese L. mandelli differed from those from India through northern Southeast Asia to southeast China in plumage, morphometrics and song. All were easily classified by song, and (wing + culmen)/tail ratio overlapped only marginally. Both groups were reciprocally monophyletic in a mitochondrial cytochrome b (cytb) gene tree, with a mean divergence of 1.0 ± 0.2%. 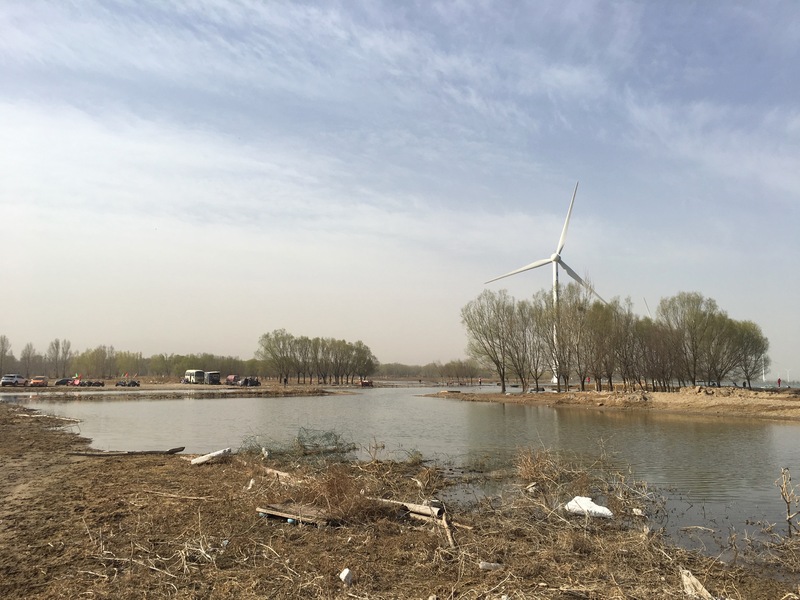 They were sympatric and mostly altitudinally segregated in the breeding season in southern Sichuan province. We found that the Mt Victoria (western Myanmar) population differed vocally from other L. mandelli, but no specimens are available. 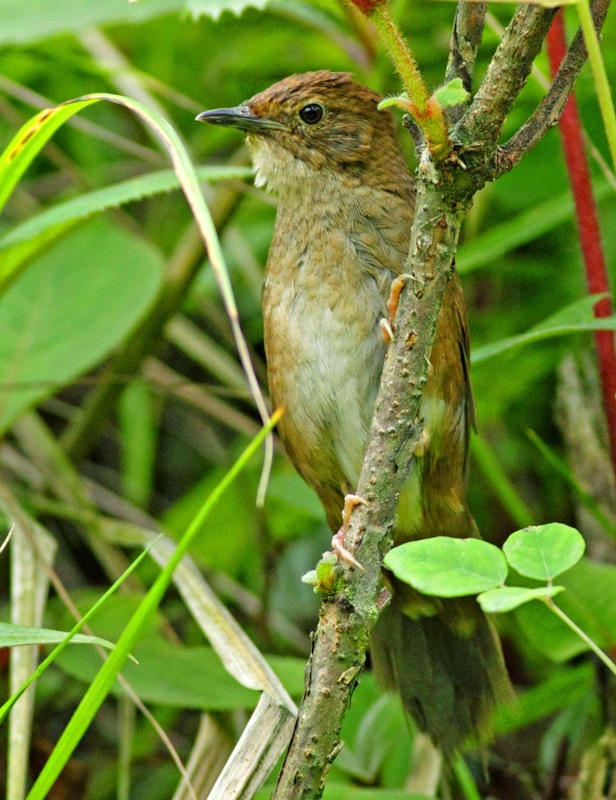 Taiwan Bush Warbler L. alishanensis was sister to the L. mandelli complex, with the most divergent song. Plumage, vocal and cytb evidence supported the distinctness of the south Vietnamese L. mandelli idonea. The Timor Bush Warbler L. timorensis, Javan Bush Warbler L. montis and Benguet Bush Warbler L. seebohmi differed distinctly in plumage, but among-population song variation in L. montis exceeded the differences between some populations of these taxa, and mean pairwise cytb divergences were only 0.5–0.9%. We also found that some L. montis populations differed morphologically. 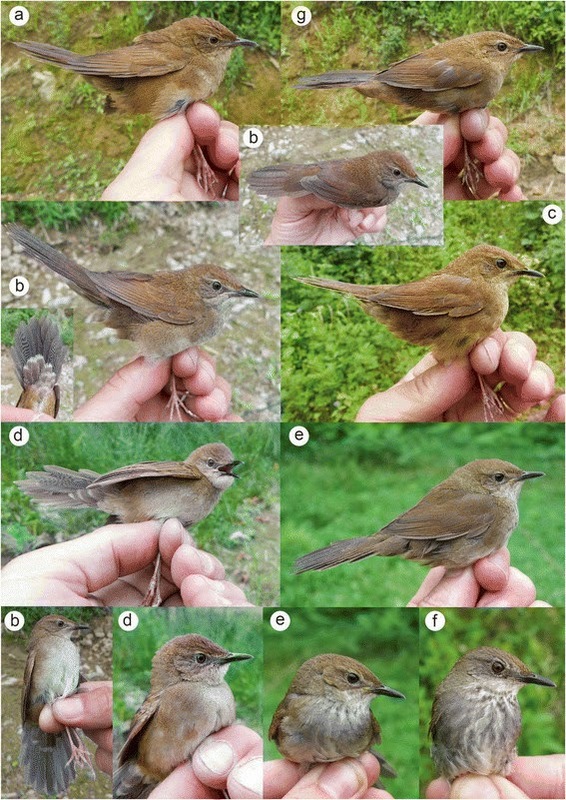 We conclude that the central Chinese population of Russet Bush Warbler represents a new species, which we describe herein, breeding at mid elevations in Sichuan, Shaanxi, Hubei, Hunan and Guizhou provinces. The taxonomic status of the other allopatric populations is less clear. However, as they differ to a degree comparable with that of the sympatric L. mandelli and the new species, we elevate L. idonea to species status, and retain L. seebohmi and L. montis as separate species, the latter with timorensis as a subspecies. 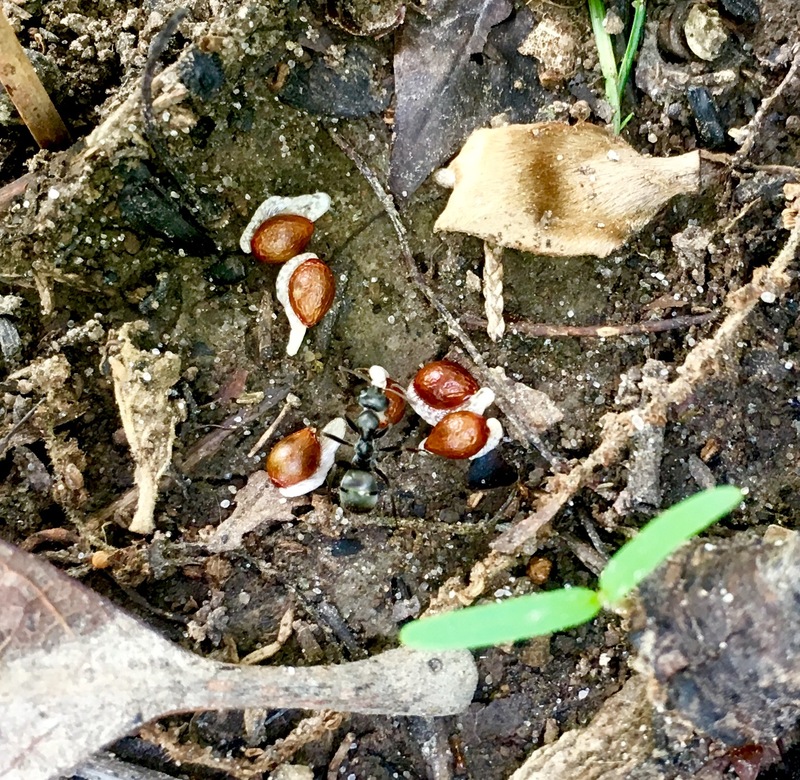 Further research should focus on different populations of L. montis and the Mt Victoria population of L. mandelli. Map showing the distribution of members of the Locustella mandelli complex, with localities from which we have sound recordings and/or DNA samples. The bicoloured red + yellow circles are places where both L. chengi sp. nov. and L. mandelli have been found in sympatry; bicoloured orange and yellow circles are places where the subspecific status is uncertain. Chinese provinces: FJ – Fujian, GD – Guangdong, GX – Guangxi, GZ – Guizhou, HB – Hubei, HK – Hong Kong, HN – Hunan, JX – Jiangxi, SC – Sichuan, SX – Shaanxi, TB – Tibet, YN – Yunnan. Locustella chengi sp. 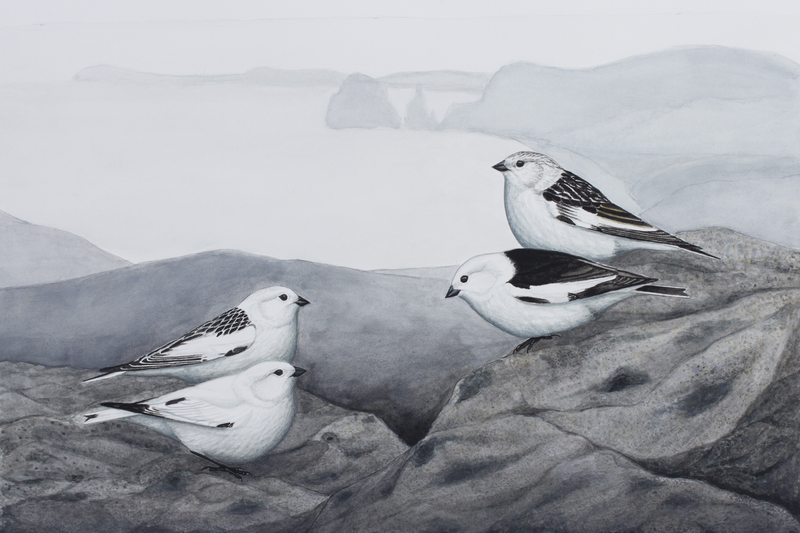 nov. (a–f) and L. mandelli mandelli/melanorhyncha (g), all adults, identified as males by song (and prominent cloacal protuberance and lack of brood patch in a–d and g, not checked in e–f). a: Laojun Shan, Sichuan, China, 1350 m, 27 May 2014 (IOZ19663) (Per Alström); b: Longcangguo, Sichuan, China, 1785 m, 27 May 2013 (IOZ19662) (Per Alström); c: Laojun Shan, Sichuan, China, 1040 m, 27 May 2014 (IOZ19665) (Per Alström); d: Longcangguo, Sichuan, China, 1810 m, 26 May 2013 (IOZ19661); e: Badagong Shan, 1615 m, 5 June 2010 (Paul J. Leader); f: an individual with exceptionally strongly marked throat/breast, Badagong Shan, 1500 m, 6 June 2010 (Paul J. Leader); g: Laojun Shan, Sichuan, China, 1350 m, 27 May 2014 (IOZ19664) (Per Alström).